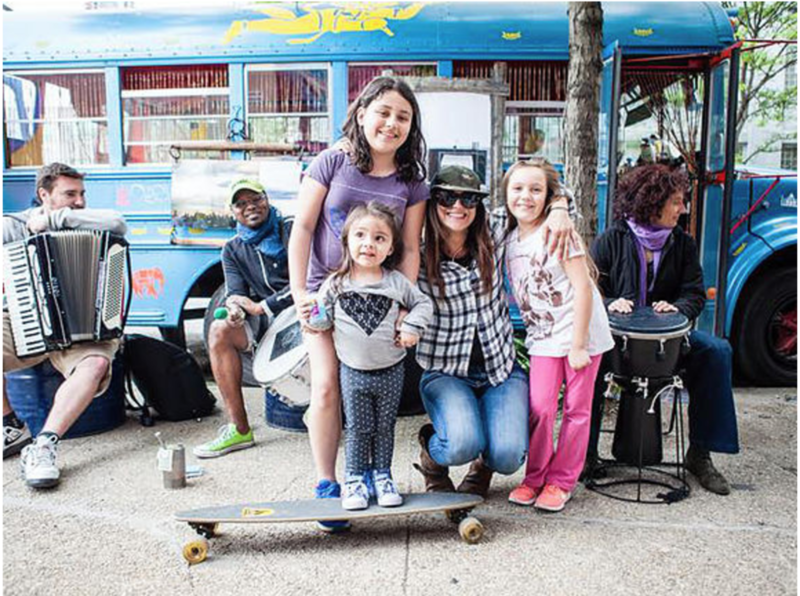 Inspired by her community and engaged with her social environment, NYC- based mixed media Italian artist, Annalisa Iadicicco is the founder (and driver) of The Blue Bus Project. 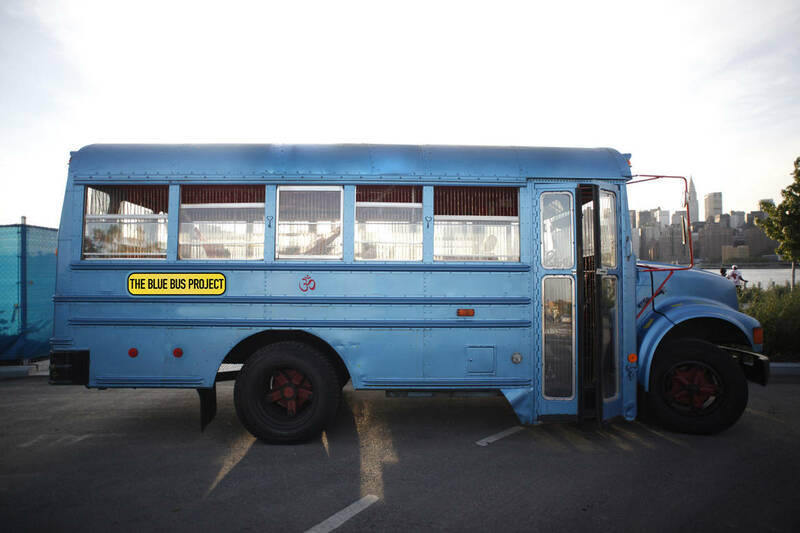 The Blue Bus Project is a cultural vehicle that shatters the confines of the insular art world by taking artistic expression onto the road, promoting dialogue for economic, social, artistic and political change by way of performance and visual arts. Iy is a platform for participants to contribute to their community while enhancing its beauty and cultural identity. It provides a safe space for conversations by partnering with educational institutions, local art organizations, city agencies, and individual artists. It brings joy, cultivates creativity, and serves as a bridge to connect people with their community. Annalisa is known for breathing new life into repurposed materials with an ability to transmute reclaimed objects such as corrugated metal, found wood, rusty nails and car bumpers into enchanting yet powerful forms of artistic expressions. Through her work, Annalisa gives voice to social injustice and environmental problems as a means to explore overlooked issues and encourage conversation and social change. Her work has been included in various group shows in New York, Italy and India. 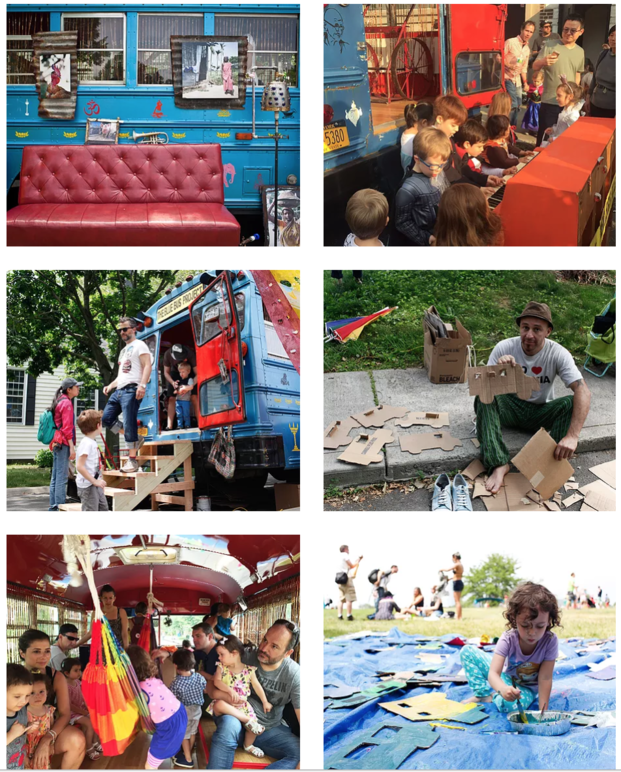 The Blue Bus Project presents RE(F)USE ME! From reclaimed objects to artistic treasures, a series of sustainable art workshops for the youth, aimed at raising public awareness on recycling and re-purposing materials. 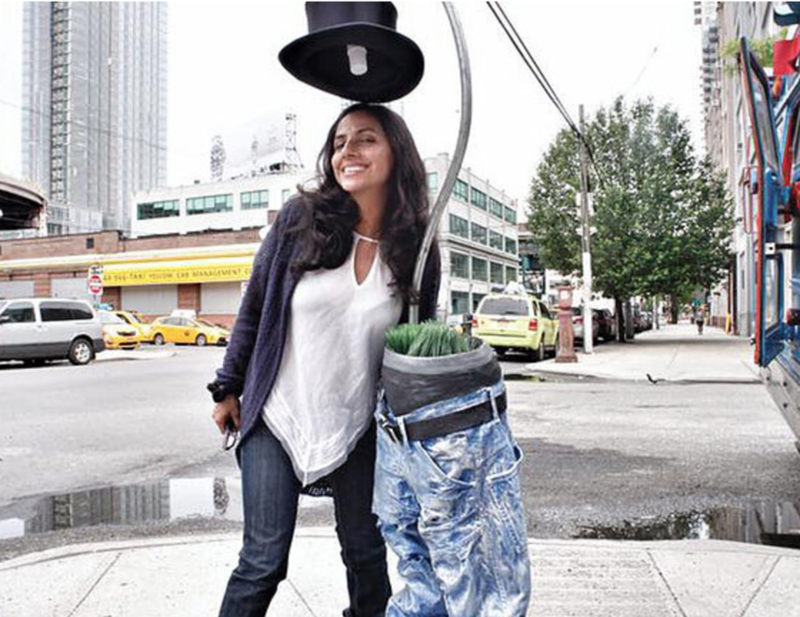 The workshops' main goal is to stir up a conversation about waste and, through art, to motivate participants to think about their environment and how to collectively get involved in their community. Held in 4 different parks on the Rockaway Peninsula in Queens - Beach 30th street PLGD, Bayswater Park, 59 street Playground and Hummel PLGD - the workshops,each with its own theme, are hosted by “The Blue Bus Project” (TBBP), a school bus that functions as a mobile art gallery and incubator that provides a safe space for artists and communities to merge. Art is used as a tool to connect, interact, explore and stimulate discussion leading to action and social change. The RE(F)USE ME workshops will run during summer school break as a way to give kids, whose families cannot afford to send them to summer camp, an opportunity to have a fun, interactive and educational experience during their vacation. The workshops takes place in four locations to express how different areas of a larger community can come together and connect through an invisible web made of art with a social purpose. The overall intention is to bring elements of everyday life directly into an artwork. The work done in each individual workshop will culminate in the creation of a sculpture. The final unveiling will be held on August 6th at the Shore Front Pkwy. Why the Rockaway? As one of New York's favorite beaches, the Rockaway area becomes increasingly filthy with the approaching of summer. Despite countless efforts of the local Parks Department (stricter rules and larger amount of garbage bins) and Volunteer Associations (shoreline/beach cleanups), the problem is still consistent. On top of that, visitors make no effort of cleaning up after themselves, and at the end of the day the sand is covered with cigarette butts, used plastic cups,forgotten toys, morsels of food and much more. All this waste ends up in the ocean thus having a negative effect on marine life. 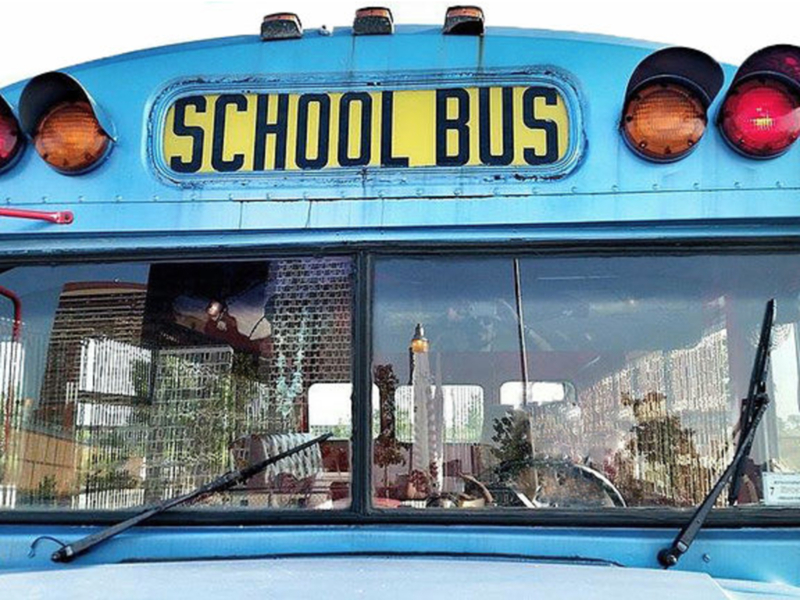 Created by The Blue Bus Project, RE(F)USE ME! From reclaimed objects to artistic treasures welcomes artists representing works in different media. The program also involves volunteers and supporters.